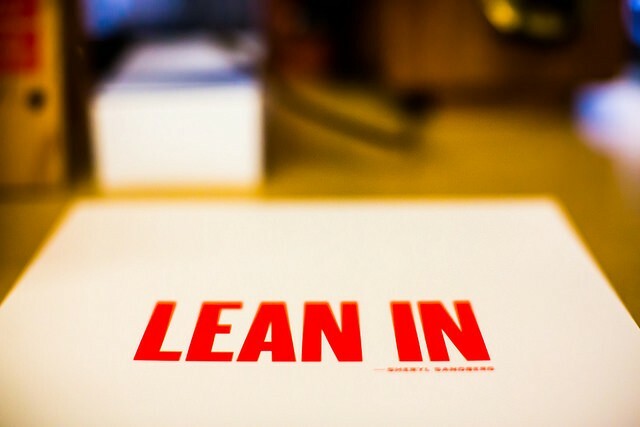 Today, LeanIn.Org, the women’s nonprofit I founded in 2013, launched Together Women Can, a public awareness campaign celebrating the power of women supporting each other. The campaign emphasizes that women can be powerful allies for each other at work — and are uniquely qualified to do so because we experience many of the same challenges. When a woman helps another woman, they both benefit. And when women celebrate one another’s accomplishments, we’re all lifted up. I asked Arianna Huffington (one of my own biggest workplace allies!) about leaning in, supporting one another, and creating a new version of success. Here’s what she had to say. 1. What advice would you offer to women who want to lean in? We have to remember that the culture still prevailing in many workplaces women are trying to make their way into was created by men, and is dominated by the antiquated notion that burnout is a sign of dedication and commitment. This culture is certainly harmful to men too, but it’s women who suffer the most from it — both because women process stress differently and because even when women succeed at work, they’re still doing the lion’s share of the work at home, too. So women have to both lean in and lead the way in changing how our workplaces are structured. So part of leaning in means not trying to outdo men chasing a flawed notion of success. There’s a French expression I love, “reculer pour mieux sauter,” which, loosely translated, means leaning back in order to jump higher. That’s what cats do. And by leaning back, we become much more effective at leaning in. That means acknowledging the value of caring for our human capital — including getting enough sleep. It also means, as they tell us on airplanes, putting your own oxygen mask on first — taking care of yourself to create the space to listen to your own wisdom and intuition. Not because you are selfish, but because that is how you are going to be at your best and most effective. You shouldn’t have to lose yourself to advance yourself. 2. This campaign is about how women can accomplish amazing things when we support each other. You’ve been such a tremendous source of strength and support to me personally and professionally. Who are the women that have supported you in your career? First and foremost, my mother. She gave me such a sense of unconditional loving while encouraging me to go for my dreams that I was not afraid to take risks and fail, because I knew that she wouldn’t love me any less if I did. And now that my daughters are in their 20s, they have morphed from being my children, for whom I am naturally a constant source of support, to being my friends and a tremendous source of strength and support for me. They are full of advice about what I should or should not be doing at work and always pushing me to take more risks and never settle. The support I’ve received from women, both personally and professionally, has shown me over and over again the importance of creating what I call a tribe — people who will always be in your corner, always there for you, in good times and tough times, whether you are succeeding for failing. And you, of course are a charter member of my little tribe! 3. What is the most important thing women can do to help each other at work? To be there for other women not just during the big moments of obvious success or failure, but in all the small ways in which the workplace culture isn’t there for them. Even though we are in the middle of a culture shift, with the role of men at home dramatically changing, at the moment there are far too many ways in which women’s needs fall through the cracks — like needing to leave early for a sick child, or being tired after being up all night with a newborn. These are opportunities in which women can support each other, until we get to a place where women no longer feel like they have to choose between their life at work and their life outside work. At the moment the status quo in far too many companies assumes that the only way to signal your dedication is to give your attention to work 24/7 — and that’s actually a backdoor way of excluding women, or at least diminishing their contributions. Another important way for women to help each other at work is to encourage them to know their value and stand up and speak out for what they want. 4. Two of the most important women in your life are your amazing daughters. What is some advice you have offered them to help them thrive? 5. If you could change one thing for the next generation of women, what would it be and why? That they no longer buy into our collective delusion that burnout is the price we must pay for success. 6. I’ve heard you talk about how we need to change the definition of success and women can be the ones to help accomplish this. What does this new version of success look like and how can women be a part of this? It’s about redefining success beyond just money and power/status to make room for well-being, wisdom, wonder and the power of giving. And because women are not yet as invested in the status quo, we’re in the best position to not only take our place at the top of the world, but to change it. 7. You’ve often talked about how your mother taught you how to reach for the stars and that “failure is not the opposite of success, but the stepping stone to success.” What advice do you have for women on how to reach for the stars and redefine failure? To me it’s really redefining failure as an inevitable part of success, and that redefinition makes it much easier to accept it as an opportunity to learn. It can even be an opportunity for intimacy and connection — yes, it’s fun to succeed with your friends and coworkers, but going through failure together can also breed connection and intimacy. You see each other at your most vulnerable, and if you’re not afraid or ashamed of failing — and in my experience women, unfortunately, are more likely to have these fears — that can be a powerful experience. I strongly believe that we are not put on this earth just to accumulate victories and trophies and avoid failures; but rather to be whittled and sandpapered down until what’s left is who we truly are. Originally published at www.huffingtonpost.com on June 23, 2016.